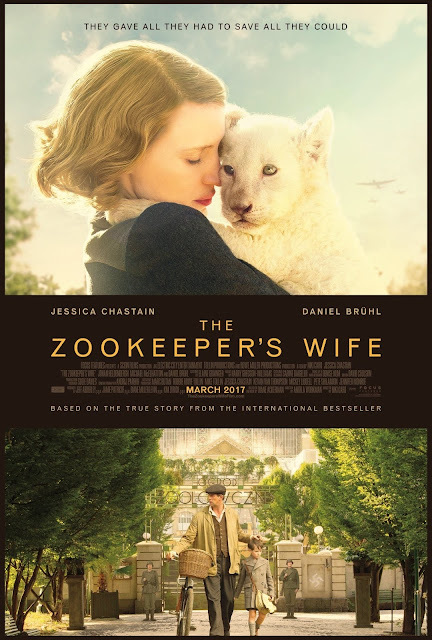 Are you excited to see the new Focus Features movie The Zookeepers Wife? This real life story looks like it will make a great movie. And if you know me, you know that I love to read the companion books for movies like this, it is just great to read the book version and then go see the movie. For those book lovers out there I have a great The Zookeepers Wife giveaway to share with you all. 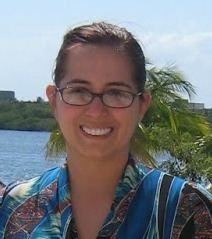 The giveaway is for a signed copy of the book and a tote bag - totaling a value of $25. I have not one but two prizes to share with you all, there will be two winners of these great prizes! Be sure to check out this film, coming to theaters on 3/31/17! The real-life story of one working wife and mother who became a hero to hundreds during World War II. In 1939 Poland, Antonina Żabińska (portrayed by two-time Academy Award nominee Jessica Chastain) and her husband, Dr. Jan Żabiński (Johan Heldenbergh of “The Broken Circle Breakdown”), have the Warsaw Zoo flourishing under his stewardship and her care. When their country is invaded by the Germans, Jan and Antonina are stunned – and forced to report to the Reich’s newly appointed chief zoologist, Lutz Heck (Daniel Brühl of “Captain America: Civil War”). To fight back on their own terms, Antonina and Jan covertly begin working with the Resistance – and put into action plans to save lives out of what has become the Warsaw Ghetto, with Antonina putting herself and even her children at great risk. The generous folks at Focus Features are giving two of Susan's Disney Family readers a chance to win a signed copy of the book, The Zookeepers Wife and a tote bag a value of $25. Would you like to enter? Please follow The Zookeepers Wife on Instagram , after the mandatory entry there are also other ways to enter, please enter below. 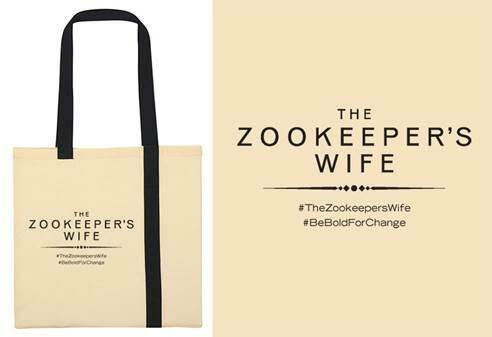 Two winners will each win a signed copy of the book, The Zookeepers Wife and a tote bag a value of $25. I'd love to see this movie with my husband. I love movies based on true events! I would take my hubby to see this movie. I would like to see this movie with my mother. I would love to take my mother in law to see this movie. My mom, grandmother, and I.
I can't wait to see this movie! Me and the other ladies in our book club would love to see this movie. I would like to go and see this with my daughter.